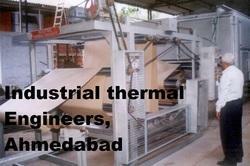 Our range of products include paper dryer, kiln dryers, dryer, laminate dryer and paper impregnating line. 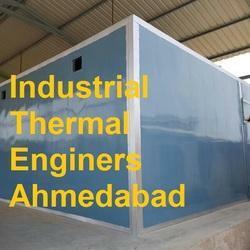 We specialize in presenting a qualitative range of Paper Dryer. These dryers are acclaimed for sturdy construction, dimensional accuracy and consistent performance. Our entire offered range is corrosion resistant and offer long lasting performance to the clients. Following the demands of our valued customers, we are offering these products in multiple sizes and dimensions. Apart from this, we are offering these products at very reasonable prices. 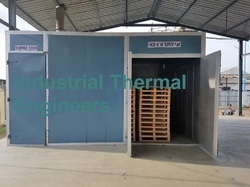 We are the leading name in the market engaged in offering a wide assortment of Kiln Dryers which is fabricated as per the industry defined standards and norms. Entire ranges of the offered products are manufactured under the strict assistance of best quality controllers who make sure that the products have no production defect. We are offering these products at nominal market price. If you have require Kiln Dryer for wood Packaging material as per ISPM 15 for that please specify following things. 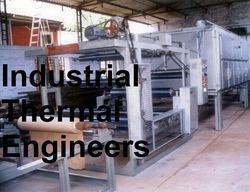 We have Kiln Dryer s are working in Middle east. In our Kiln Dryer working cost is 25- 36 Rupees per Pallet. Total cycle time is 2 to 4 days. In our Kiln Dryer Chimney will not be there, so Clearance from Pollution control department will not be applicable. In our Kiln Dryer you may not require any pollution certification as our heating system follow European standards and electrical protection IP 55. As and when you have any requirement of Hot Air Dryer, Please send details like which material you want to dry, Moisture contain in material, wants dry material per shift, Heating Media like steam or Oil etc. Dryer as per customer need. We are a renowned and customer centric firm, which is engaged in delivering a comprehensive range of Laminate Dryer. The offered range of dryer is available in different specifications such as sizes and can also be customized in accordance with the diverse requirements of our esteemed clients. Along with this, the offered range of dryer is examined on various quality norms to ensure its high performance. Looking for Laminate Dryers ?